You're never too old, nor too young to learn. Here's an overview of the training SALTO has on offer for you. Youth Participation is important in society. 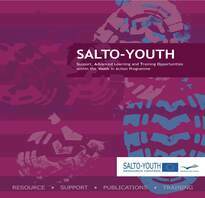 The SALTO Participation resource centre organises an extensive offer of training activities to support young people setting up their own Youth Initiative, or training youth workers to be a coach, or set up Democracy projects. If your aim is to bring people from different cultural and religious backgrounds together, SALTO Cultural Diversity offers you a set of training courses, seminars and meetings to make this world a colourful one. 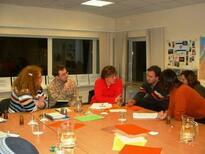 Are you working with Young People with Fewer Opprtunities? Then SALTO Inclusion has a series of training courses just for you. 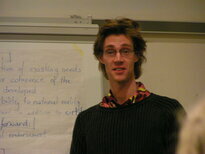 The coming years SALTO Inclusion will have a focus on youth un/employment, but not exclusively. Check out our offer. Youthpass is a unique instrument to work on key-competences with young people and youth workers in your Youth in Action projects. But maybe you want to learn more about this recognition tool of Non-Formal learning? Register for one of the Youthpass courses. If you are doing cooperation projects between the European Union and South East Europe, then the SALTO SEE Resource Centre might have just the right activity for you. 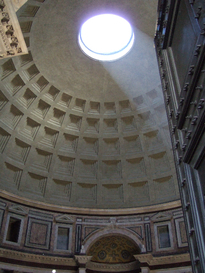 Participate in a variety of SEE training courses, study visits, meetings, etc. The SALTO EuroMed Resource Centre has an exciting offer of training activities that focus on bringing both sides of the Mediterranean together. 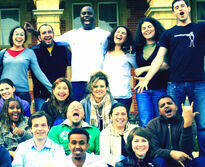 Take part in the EuroMed training courses for all levels: beginners or experienced youth workers. Or rather a conference? If you are keen on projects between the European Union and Eastern Europe and Caucasus, there are many support activities organised by SALTO EECA: have a look at the training courses, study visits, meetings, etc. If you're looking for a general overview of the courses offered within the international Youth (in Action) sector, you can browse the European Training Calendar for more training opportunities, organised by National Agencies or NGOs.